I admit it. I'm one of those writers who gets so caught up in her research that I can just live there. I LOVE learning about the secrets of the old mystery cults or how people transitioned from hunter-gatherer to agrarian at Catal Huyuk (Çatal Höyük). And when writing, my OCD comes out to the point that I must know exactly the titles Artemis of Ephesus would have been called by in 52 BCE and how sound-proof the earthen walls were in the subterranean cities of Cappodocia. (All of which give you hints to my current WIPs). So I spend way too much time researching, but I love it. In fact, that's part of the reason as to why I write in the genres that I do, because I'm naturally drawn to these questions and subjects. I want to know and experience how people lived before, perhaps because it helps me understand who we are in our central core. I thought it might be fun to share with you some of my favorite resources. Some of these may seem a bit wacky, and others hard to find, but they all have something unusual going for them. Joseph Campbell - If you're a writer, you know The Man. I'm sure you've read, or at least looked at, The Hero With a Thousand Faces. But have you looked beyond this fabulous book to his multitude of other works on myths from various cultures and centuries? If you want to really dig down deep and understand what these old stories were all about, the conflicts of the heroes and heroines that we still struggle with today, and why universal archetypes speak to us so deeply, then you must check out his other work as well. Manly P. Hall - This one takes a dip into what some might consider a bit wacky, but also fascinating. To be very honest, Hall is very much inline, in my POV, with Campbell, but wrote before him, and perhaps was one of his influences. However, while Hall was recognized in his day for his achievements, he never attained the kind of fame Campbell did, perhaps because he focused more on the mystical and occult. His greatest work, The Secret Teachings of all Ages, originally printed in 1928, is absolutely breathtaking in its speculation, insight, and comprehensiveness, but NOT a light read. Fortunately, they now have it in a smaller format than the monstrous (and expensive) edition I bought years ago! TourEgypt.com - If you've read this blog for any length of time, you know my fascination with Egyptian myths and how Rowling incorporated them into her stories. One of my favorite online sources for researching these myths may seem a bit unusual. TourEgypt seems to be a commercial tour site, but the depth of their articles are really phenomenal. Any time I would google a specific detail that I was trying to hunt down, this site regularly popped up, until I started hunting there first. I've linked you to one of their examples on the Coffin Texts, which I used in researching one of my early-days Mugglenet articles. 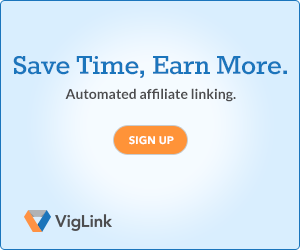 Crystalinks.com- Finally, another online resource that, like the one above, kept showing up so much whenever I'd google something, that I started using them as a main resource. CrystalLinks seems to be a New Age type of site, so I will usually use whatever material I find there as a starting point and then research it further. 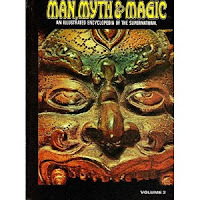 I have nothing against New Age, but their focus can sometimes be on how the pagan religions are re-envisioned today, and if I'm researching a story that needs to know how that myths was understood in antiquity, then I must probe further. I'm sure I'll think of another fabulous resource as soon as I post this, but then, I can always update it as I go. Would love to know if you've used any of the resources I've mentioned above. Also, what are some of your favorites? 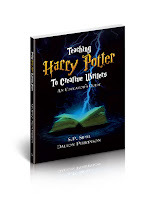 Also, don't forget that I'm presenting an abbreviated version of my Writer's Guide to Harry Potter workshop this week at SavvyAuthors. Along with that, I'll be giving away a free critique of the first three chapters to one of the Savvy Authors Summer Symposium participants! You can learn more about my editing background here. I want to share a book with you that transformed my life. Reading this book, along with the prompting of my good friend and early writing partner, is why I am a writer today. But before the encouragement I found inside this book to pursue my own creativity, it first taught me to value it. The Highly Sensitve Person: How to Survive When the World Overwhelms You by Elaine Aron is a must-read for creatives of all types, especially writers. When I first read HSP (at a much younger age than I am now), I saw, for the first time, all my weirdness and sensitivity in a positive light. After devouring HSP, I came away with a few important understandings. 1) Highly Sensitive People (HSPs) have always existed in human society because they serve a critical role in our survival as a species. Due to their extremely sensitive nature, they are more in-tune with the environment which surrounds us all, and thus are the lookouts. It is the HSP's ability to hear, smell, see, and taste stronger, as well as sensing more subtleties of people and environment, that warns the rest of the human pack of impending danger so we all can react before it is too late. 2) However, as a pack, too many HSPs within a human tribe would make for a very jittery bunch, perhaps overreacting and thus being led into the danger they hope to escape. Therefore, it seems we have evolved so that about 15% of the population is made up of HSPs, while the other 85% is made of personality types in other roles equally important for survival, such as leader, warrior, etc. 3) HSPs have served society as prophets, artists, storytellers, spiritualists, and, truly, creatives of all flares. Though sometimes not valued as highly in today's society as CEOs and high-powered professionals (our modern-day leaders and warriors), we still serve an important role not only in noting danger and alerting others, but also in reflecting and shaping culture, in all its positive and negative glory, through the work we create. If humans evolved as the one animal able to understand symbols, it is the ability of the HSP to sense and translate these symbols that stands at the crux of all human development. Seriously. 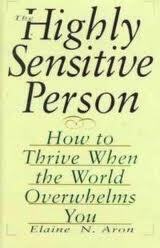 Before reading this book, I'd always been down on myself because of my sensitive nature. I was too introverted, too socially awkward...just too darn sensitive. This book came to me at exactly the right time to transform my life, not only emotionally, but also physically. You see, most people who are HSP in personality are also HSP in body as well. I'd just gone through a very difficult pregnancy and come out of it with a bit of postpartum depression. Reading HSP led me to seek other books on the subject, and the one I stumbled onto was Potatoes not Prozac, which taught me the benefits of healthy eating. I dug into it whole-hog (ha! ), and within one month, I was totally recovered, happier, and more energetic than I had been in years. Why am I sharing something so personal with you? Because it is my belief that most writers are HSP in mind as well as body. We joke a lot about all the chocolate, sweets, and Mountain Dews we need to get through the day, but it is my experience that sugar is the last thing an HSP needs. It may boost you up initially, but all that brain fog, loss of energy, and depression you'll suffer through later is so not worth it. I don't want to go into a preachy tone here, cause it is definitely something I still struggle with as well, but if any of this rings true to you, I just want to point you in the direction of these books, plus a couple more I've discovered since then, which I will link to below. If you're interested, though, I've got more info on my TurkishDelight blog, filled with healthy recipes, which I started long before this one. I'm hoping to post more regularly there soon. How about you? Have you read any of these books or anything like it? Do you consider yourself an HSP? 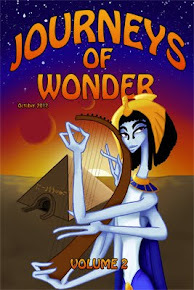 First, I'm thrilled to be included in Journeys of Wonder vol 2, an anthology of genre fiction. 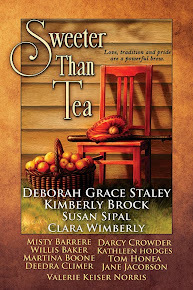 I'll be joining the fabulous Lisa Gail Green, Leslie S. Rose, and Ian Kezsbom from the first volume. My short story, "Lighting the Sacred Way," is set in ancient Ephesus -- so you know it has some refs to my favorite myths. 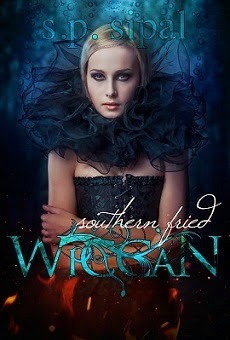 I hope you'll check it out when the collection is released in the fall. Second, I've been asked to participate in SavvyAuthors' Summer Symposium. During the week of August 20-26, I will be presenting a portion of A Writer's Guide to Harry Potter workshop, focusing on the mystery plotting throughout the series and the characterization of Snape. I hope you can join me. The symposium will be free to SavvyAuthors' members, but everyone can take the class. Sign up here. Third, I've recently become an editor at Musa Publishing, working in their YA imprint, Euterpe. I'm thrilled to join the Euterpe team and have already read some excellent manuscripts that I'll shout about when they are released. And finally, to put two and three together, at the end of my workshop for SavvyAuthors, Ellen Brock, head editor at Euterpe and co-head editor for Pan (Musa's YA-GLBT line), and I will be taking pitches all day on Saturday, August 25. You can read more about what we will be looking for and how to participate here. I'm really enjoying working with new people, both at Journeys of Wonder and Euterpe Books, who are excited about quality fiction and are on the cutting edge of the changing dynamic in publishing. Can't wait to share with you more of my experiences! Check Euterpe out on Twitter!